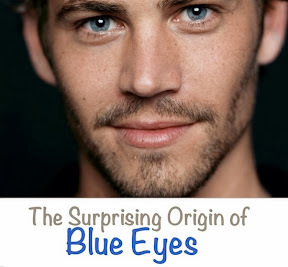 A team at University of Copenhagen conducted a study in 2008 about the formation of blue eyes. 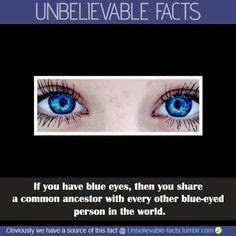 The research showed that those who have blue eyes have a single common ancestor. 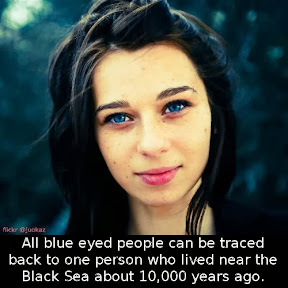 They found a genetic mutation that took place between 6000 – 10,000 years ago which is the reason behind the occurrence of blue eyes and the causation of all blue eyed people today. Eiberg, a professor of the Department of Cellular and Molecular Medicine, says we all had brown eyes originally. A genetic mutation affected the OCA2 gene in our chromosomes which created a switch that literally switched off the ability to produce brown eyes. The OCA2 is a gene that codes for P-protein, responsible for the production of melanin. Melanin is the pigment that gives color to hair, eyes, and skin. The switch is situated in the gene adjacent to OCA2 and does not entirely switch off the gene but limits its function to reduce the production of melanin in the iris – effectively diluting brown eyes to blue. If there were no melanin then we all would be without colors in our hair, eyes, and skin , a condition known as albinism. Variation in eye color from brown to green is linked to the amount of melanin present in the iris. 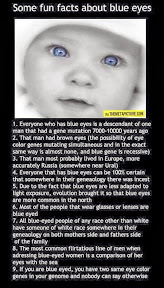 All blue-eyed people have a small amount of variation in the amount of melanin in their eyes , leading to the conclusion that all blue-eyed people have a common ancestor and have the same switch inherited at the same place in their DNA. The findings of Professor Eiberg and his team are the latest regarding genes. He and his team examined mitochondrial DNA and analyzed and compared people who had blue eyes in countries like Jordan, Denmark, and Turkey. Research began in 1996 when Professor Eiberg suggested the theory of the OCA2 gene as responsible for eye color. 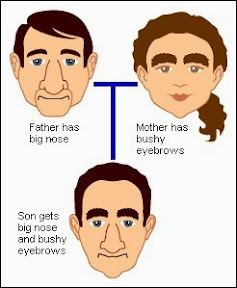 Nature is responsible for the shuffling of genes. 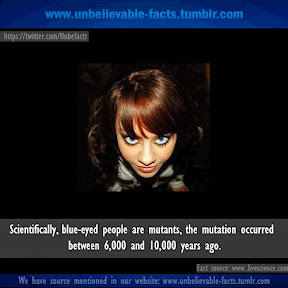 The mutation of brown eyes to blue ones does not represent a positive or negative mutation, it’s like many other mutations including baldness, hair color, freckles, and beauty spots, none of which affect chances of survival. Professor Eiberg explains that it is nature who is continuously and constantly shuffling the human genome thereby creating a cocktail of human chromosomes trying out changes. Blue eye color is the second rarest color after green . Blue eyes are common among Israeli Jews, the percentage of people with blue eyes is decreasing in the US. The countries where you can find the most blue-eyed people are Netherland, Germany, the Baltic States, and Scandinavia. In Germany almost 75% of the population have blue eyes. 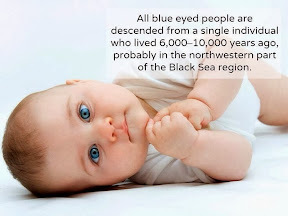 Did You Know That Blue-Eyed People Can All Be Traced Back To a Single Ancestor? “Originally, we all had brown eyes”, said Professor Eiberg from the Department of Cellular and Molecular Medicine. “But a genetic mutation affecting the OCA2 gene in our chromosomes resulted in the creation of a “switch”, which literally “turned off” the ability to produce brown eyes”. The OCA2 gene codes for the so-called P protein, which is involved in the production of melanin, the pigment that gives colour to our hair, eyes and skin. The “switch”, which is located in the gene adjacent to OCA2 does not, however, turn off the gene entirely, but rather limits its action to reducing the production of melanin in the iris – effectively “diluting” brown eyes to blue. The switch’s effect on OCA2 is very specific therefore. If the OCA2 gene had been completely destroyed or turned off, human beings would be without melanin in their hair, eyes or skin colour – a condition known as albinism. Variation in the colour of the eyes from brown to green can all be explained by the amount of melanin in the iris, but blue-eyed individuals only have a small degree of variation in the amount of melanin in their eyes. “From this we can conclude that all blue-eyed individuals are linked to the same ancestor,” says Professor Eiberg. “They have all inherited the same switch at exactly the same spot in their DNA.” Brown-eyed individuals, by contrast, have considerable individual variation in the area of their DNA that controls melanin production. Professor Eiberg and his team examined mitochondrial DNA and compared the eye colour of blue-eyed individuals in countries as diverse as Jordan, Denmark and Turkey. His findings are the latest in a decade of genetic research, which began in 1996, when Professor Eiberg first implicated the OCA2 gene as being responsible for eye colour. The above story is based on materials provided by University of Copenhagen. 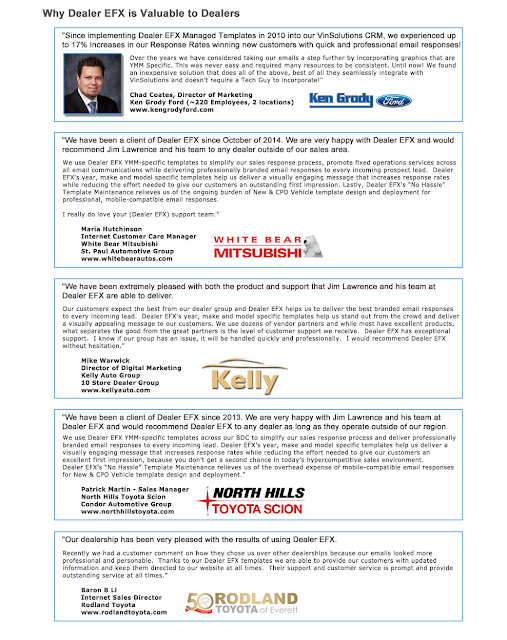 Note: Materials may be edited for content and length.